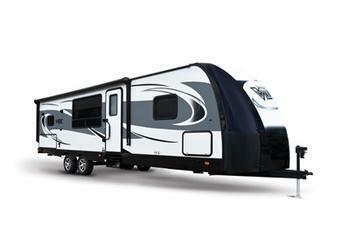 Forest River is recalling 11 model year 2016-2017 Vibe recreational trailers, model ORVBT236RBS-64. The federal placard contains incorrect rear tire information, indicating ST205/75R15C tires inflated to 50psi, when the actual tires are size ST225/75R15D inflated to 65psi. The incorrect tire information can cause the operator to install the wrong size and load range of replacement tires, or underinflate the existing tires. Either condition increases the risk of a crash. Forest River will notify owners will provide them a corrected federal placard, free of charge. The recall is expected to begin July 24, 2017. Owners may contact Forest River customer service at 1-541-644-8063. Forest River's number for this recall is 64-05232017-0413.